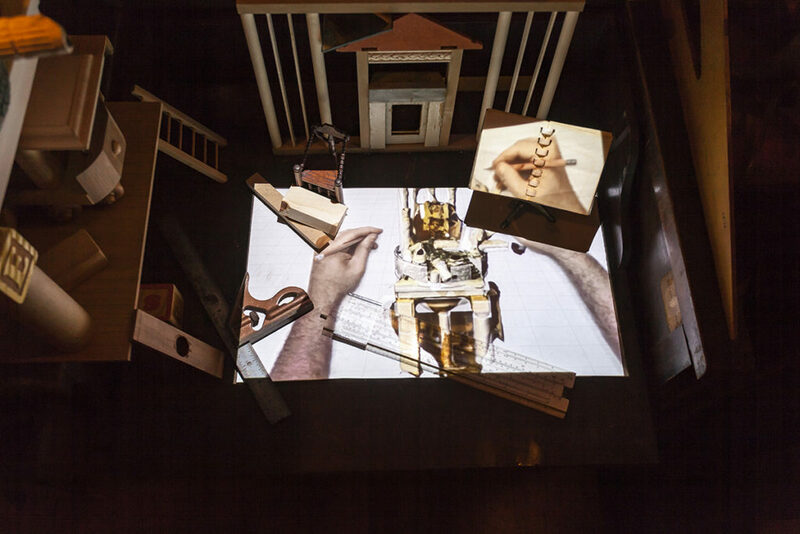 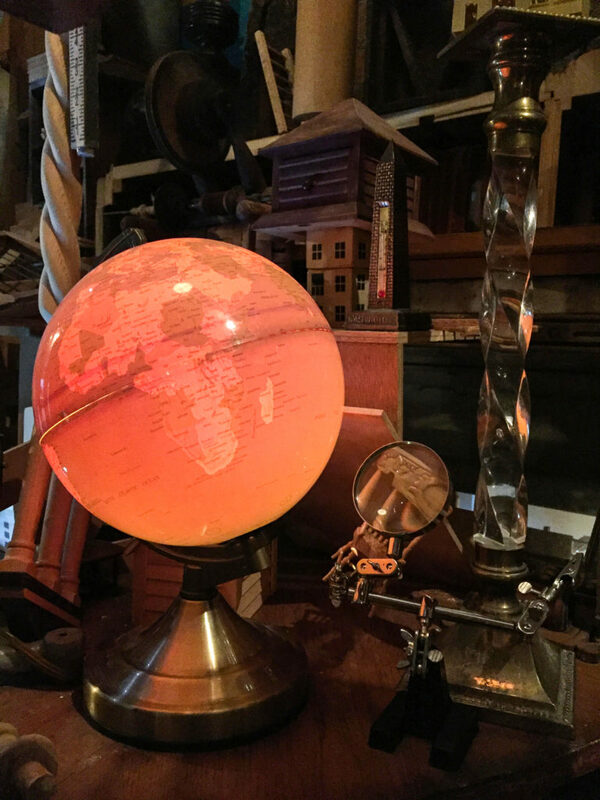 Maher’s immersive installation transports the viewer into a miniature, magical world of curious inventions and constructions. 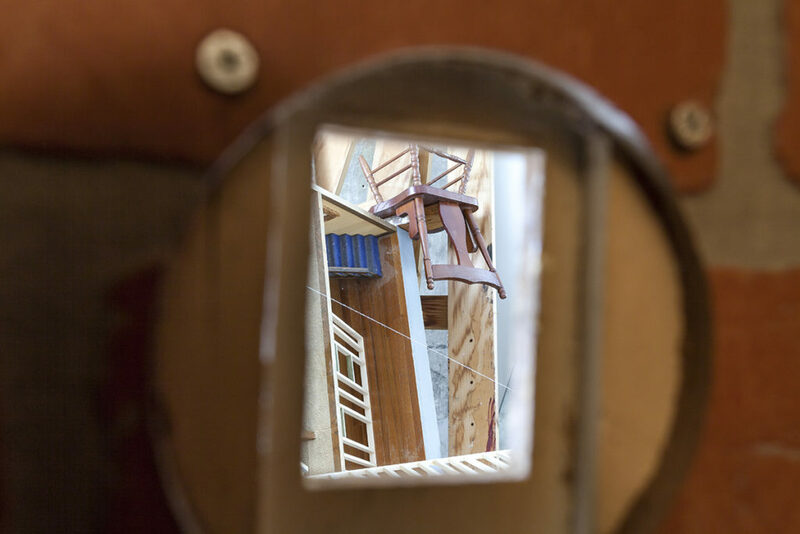 Utilizing current trends in architecture and design, repurposing and salvaging are key strategies of the project. 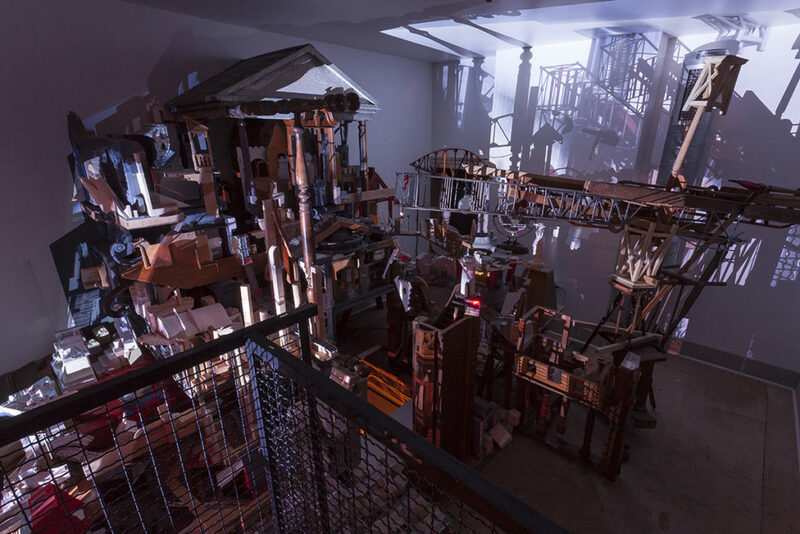 However, Maher’s work goes beyond reuse. 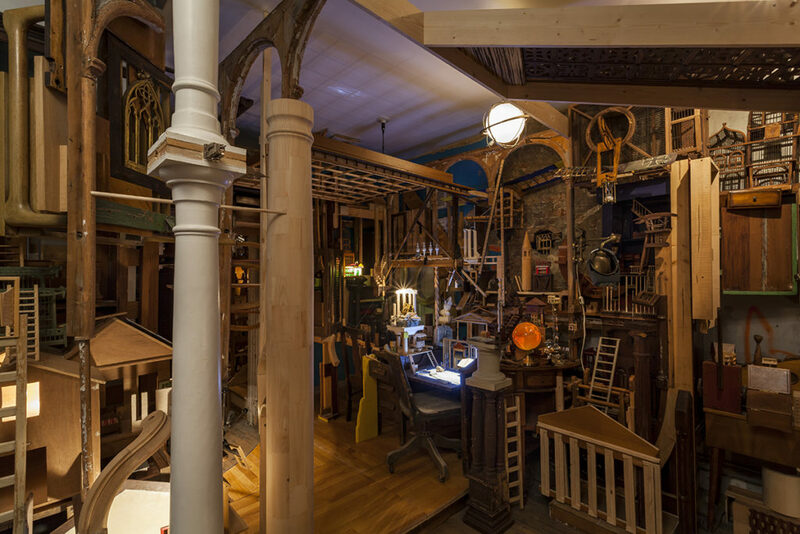 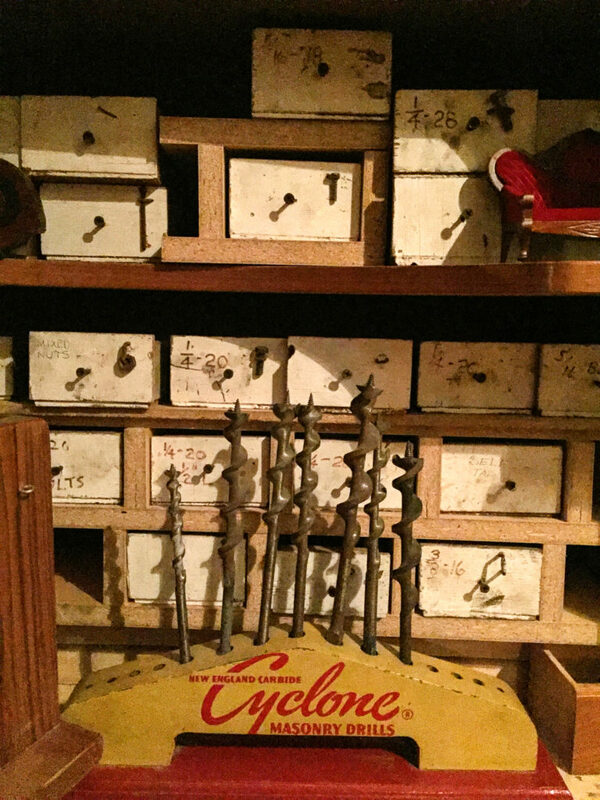 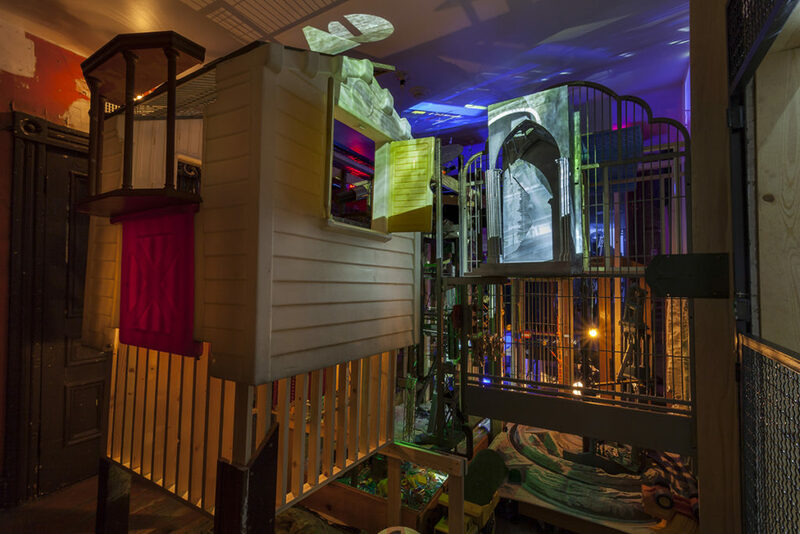 By embedding objects from the Mattress Factory’s original inhabitants and building a parallel, kinetic world inside the historic site, the three-story evolving structure poses questions about the role between history, site and object. 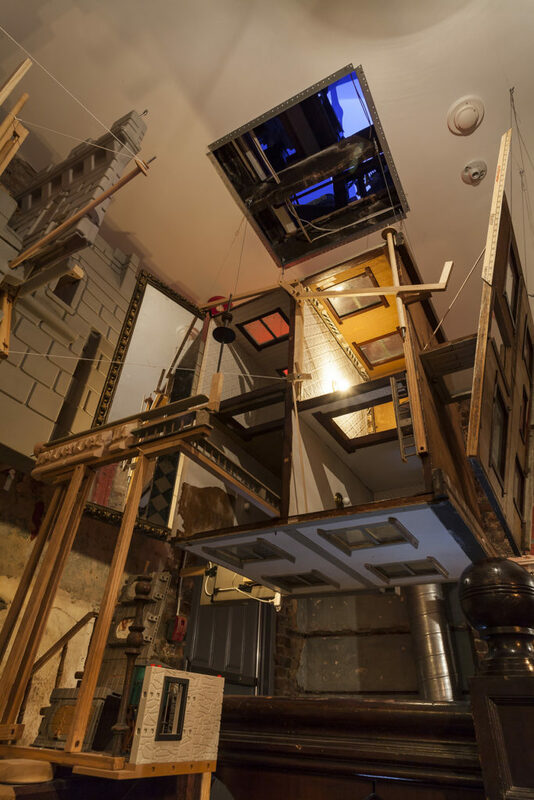 Rather than creating architecture with specific form and function, the artist challenges the viewer to conform his/her body and viewing perspective to adapt to Maher’s “Second Home”—one that is disorienting, but miraculous to behold.